This fellow has been living in our back yard. We first spotted it when it was a wee little thing, no bigger than a kitten. Now it’s about the size of an average cat. I’ve been contacted by someone who runs an opossum sanctuary. I think they want to trap and rescue it as albinos are vulnerable as they stand out more. 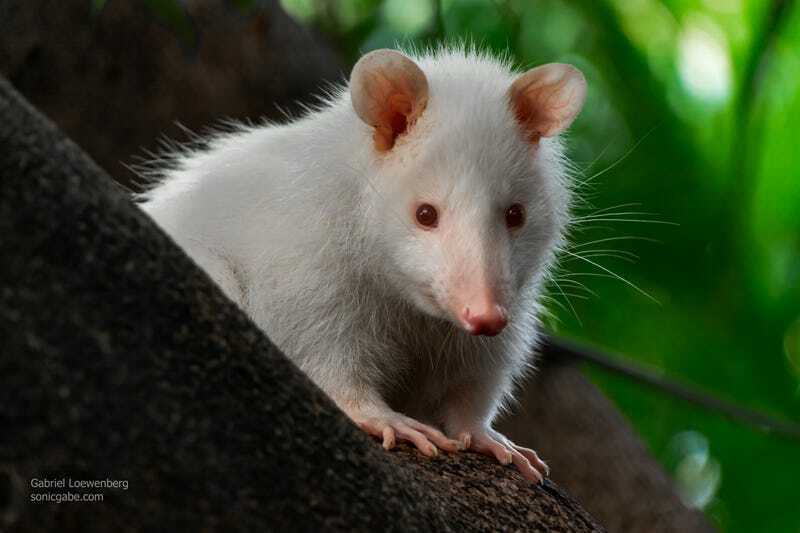 We don’t need, no matter how cute, future generations of albino possums running amuck.